The $6 billion makeover of Interstates 4, 75 and 275 in west central Florida cleared a final hurdle June 23. The Tampa Bay Express project, known as TBX, has been described as “the biggest public works project in the history of the Tampa Bay area.” It has drawn support from the regional business community. An analysis suggested the six-year project will generate 7,000 jobs, with a total economic impact equal to the price tag. 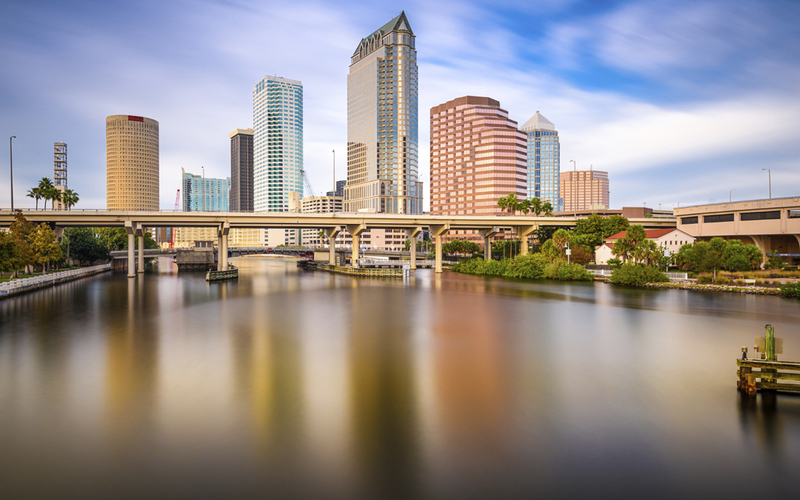 Still, critics of the plan outnumbered supporters by 2-to-1 at the June 22 meeting of the Hillsborough County Metropolitan Planning Organization, according to local media reports. Public comment lasted for eight hours, pushing into the wee hours of the next morning, before the planning body approved the plan 12-4. The proposed highway work includes replacing an aging bridge span over Tampa Bay; adding express toll lanes; and upgrading several major interchanges. Learn more.